A green dragonfly vector art graphic. I’m hoping to see more real dragonflies in my yard to help keep the mosquito population in check. There are many species of dragonfly, some 5680 according to wikipedia. I colored this one green from a freebie set posted by Oh So Nifty Vintage Graphics, an excellent vintage resource site. The wings are semitransparent to fit in nicely with any scene or background. The download contains AI, EPS and PDF formats. 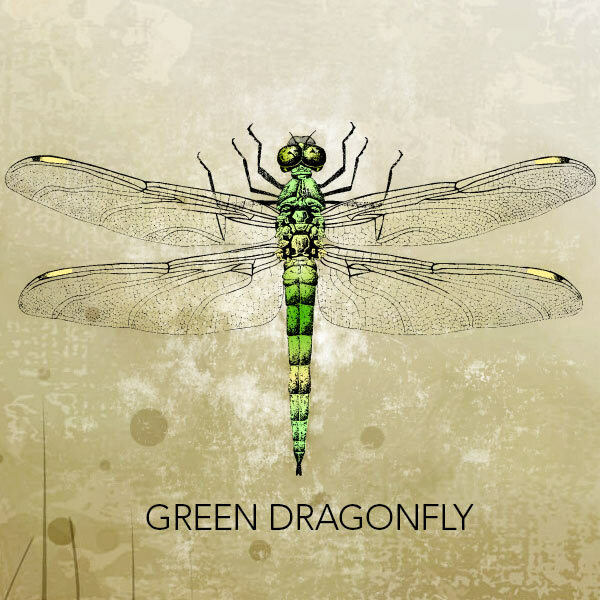 The greatest dragonfly, in my opinion, isn’t green and isn’t even an insect…. but it is delicious… see video.